Cpl. Claude Laverne McIntyre, son of Mr. and Mrs. Claude A. McIntyre, attended Frederick High School and Cameron College. 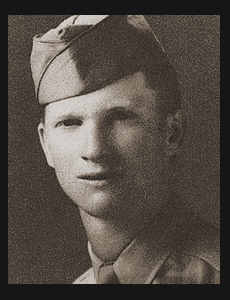 Entered Air Corps in March, 1944, trained in Ft. Sill, Okla., Sheppard Field Texas, Lowry Field, Pueblo, Colo., Alamagordo, Clovis and Albuquerque, N.M.; and served in Germany.